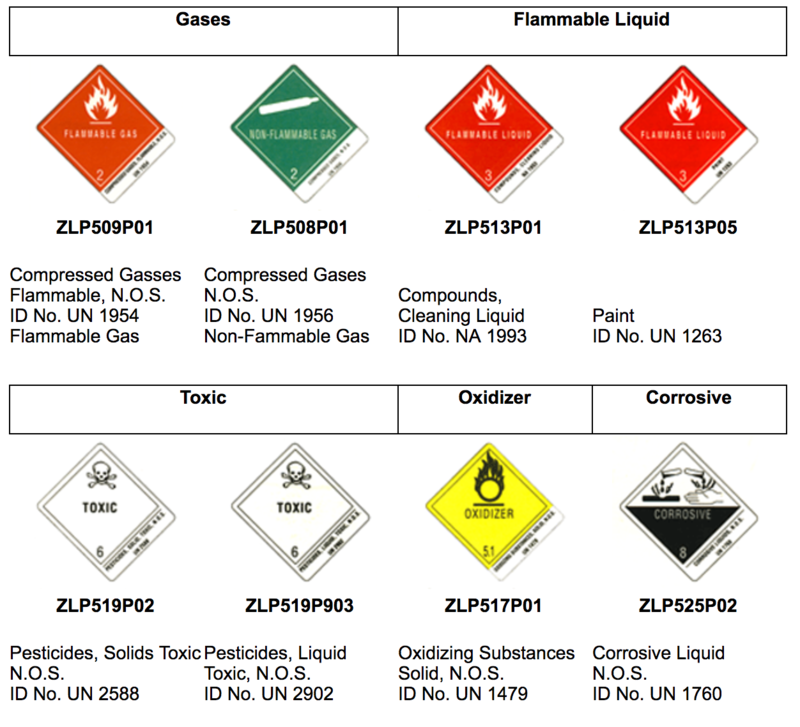 These pressure-sensitive labels fully conform to the guidelines issued by the U.S. Dept. of Transportation (49 CFR) and to International standards ICAO, IATA and IMDG. Use them for both domestic and international shipments. For a complete selection of labels, call our customer service reps.